Jennifer Chavez is a partner in the Real Estate, Land Use and Environmental Practice Group in the firm's San Diego office. Jennifer's practice focuses on land use matters, including compliance with the California Environmental Quality Act (CEQA), the Subdivision Map Act, the Coastal Act and planning and zoning laws, as well as other general real estate transactional matters. She has represented developers, landowners and public agencies in a variety of projects, including, large and small-scale residential, commercial, industrial, mixed-use, and educational development projects throughout California. 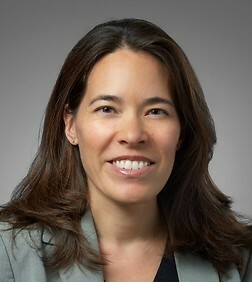 Her practice includes representing clients before city councils, county boards of supervisors, planning commissions and other regulatory bodies to secure land use entitlements, permits and approvals and also involves defending land use entitlements in litigation matters before trial and appellate courts. In addition, Jennifer has experience drafting and negotiating agreements with public agencies and private property owners concerning the use and development of real property including, development and improvement agreements, funding and reimbursement agreements, purchase and sale agreements, easement agreements and covenant agreements.